PARK(ing) Day 2010 Takes Place This Friday Around the World! Look for our coverage this week, when we’ll be showcasing photos of Park(ing) Day events across the US and around the globe. If you’d like to get involved, there is still time to help with a Park(ing) Day event near you, too – check out the website for all the details! Nice post. I really appreciate such activities which involves arousing awareness among people for better environment. We all should work towards making this World a better place to live. Keep up the good work. Heads up city dwellers - Park(ing) Day 2010 takes place all over the world this Friday, so get out there and explore the pop-up parks in your neighborhood! 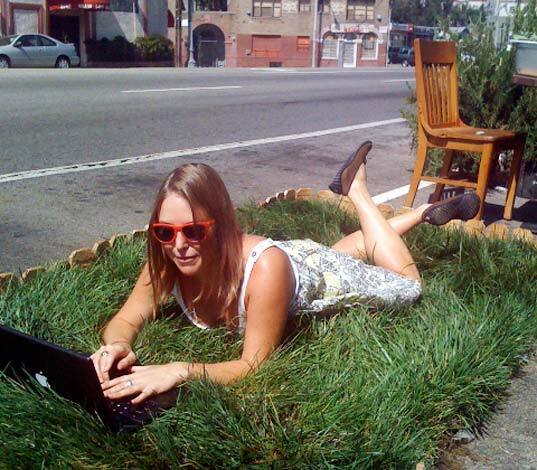 Park(ing) Day participants take over parking spaces in cities across the world and put them to better use by setting up impromptu cafes, parks, and gathering spaces to highlight the need for more urban green spaces. 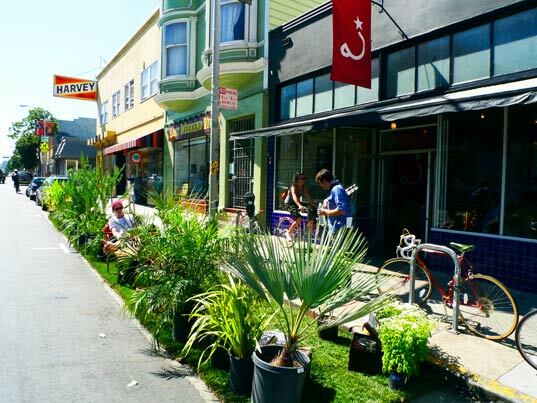 The organizers of the event say that, "PARK(ing) Day is an annual, worldwide event that inspires city dwellers everywhere to transform metered parking spots into temporary parks for the public good."